Forced by her father to marry a man three times her age, young Nujood Ali was sent away from her parents and beloved sisters and made to live with her husband and his family in an isolated village in rural Yemen. There she suffered daily from physical and emotional abuse by her mother-in-law and nightly at the rough hands of her spouse. Flouting his oath to wait to have sexual relations with Nujood until she was no longer a child, he took her virginity on their wedding night. Taking listeners from Michigan to Iran and from Ankara, Turkey, to Paris, France, My Name Is Mahtob depicts the profound resilience of a wounded soul healed by faith in God's goodness and in his care and love. And Mahmoody reveals the secret of how she liberated herself from a life of fear, learning to forgive the father who had shattered her life and discovering the joy and peace that comes from doing so. Looking to hook a new generation of readers? 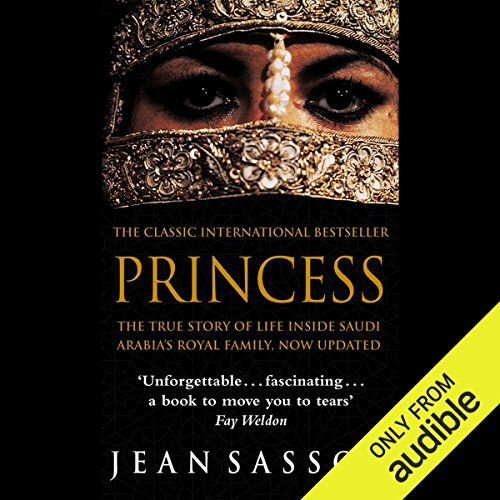 Princess describes the life of Princess Sultana Al Sa'ud, a princess in the royal house of Saudi Arabia. Hidden behind her black veil, she is a prisoner, jailed by her father, her husband, and her country. Sultana tells of appalling oppressions, everyday occurrences that in any other culture would be seen as shocking human rights violations: 13-year-old girls forced to marry men five times their age; young women killed by drowning, stoning, or isolation in the "women's room". Princess is a testimony to a woman of indomitable spirit and courage, and you will never forget her or her Muslim sisters. A New York Times best-seller, Princess was named one of the 500 Great Books by Women Since 1300. It was also an Alternate Selection of the Literary Guild and Doubleday Book Club and a Reader's Digest Selection. 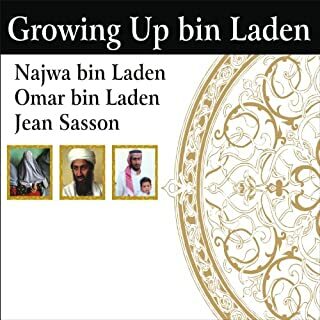 ©2004 The Sasson Corporation (P)2012 Audible, Inc.
What a thought provoking book. I couldn't stop thinking about it for weeks after I finished. Definitely reading the next book in the series! I wouldn't recommend this book for the faint of heart. It's hard to continue reading it. What about Catherine Byers’s performance did you like? It made me cry and lose sleep over it. I can't believe that this still happens across the world. It's terrifying to know this let alone go through it. I still don't understand why other countries are not interfering with this. Would you consider the audio edition of Princess to be better than the print version? Probably not. The narrator was monotone and didn't bring much life to the audio portion of the book. It was real and authentic. Would you listen to another book narrated by Catherine Byers? No, not at all. The stories were good but 30 mins at a time was enough. Soltana, the princess in this story was one of thousands of princesses in Saudi. In the end, she didn't accomplish anything or do anything historic or even memorable such that reading about her specifically is exciting. She just happens to be one of 21,000 members of the royal Saudi family and talks about the (undoubtedly scary) every day life of a woman in Saudi. Maybe I missed it, but I did not get to hear what became of her. I have some issue of veracity about some of the things said because I have some knowledge of Saudi Arabia and Islamic traditions. Example, the author said that women cannot enter the mosque to pray, that is not correct. Every mosque has a partition in the back for women to pray at the same time as men. At home, women will pray behind the men. I could not stop listening to this book every chance I got I listened to it. it's incredible to know that the events like the ones in thisstory are still happening today. I read about this book a few days ago as a recommendation and it does not disappoint. The Princess serves as confirmation of the tales of brutality that have been written about, but a little sanitized in my opinion. It is well-written, narrated, and performed. Magnetically written. Brutally honest. Horrific to listen to the lifestyle in my own lifetime. I am changed. The ending left a little to be desired of but overall I learned a lot about life there for women. I felt like she strived to give an accurate description of her story. A peek in to another world! Brilliantly written book very insightful as well as heartbreaking in places. Read beautifully and a gripping story of how this person tried to make a difference in a male dominated world. Powerful account of life wow ! Wanted to carry on with more is there a follow up ? I read this book many years ago and found it just as compelling hearing this compelling story. Although I found the narration to be extremely robotic. Apart from that, great. Well worth the money truly riveting !!! What a brilliant book! the whole world needs to be told what goes on behind closed doors of the house of Saudi! I love this series! A real eye opener! If you have ever wanted to know about women under the veil in Saudi Arabia, then read this. The story is not just about the rich but also the middle class and the poor. The history is fasinating and the stories compelling! Did not hear anything that I hadn't expected. Loved the spirited nature of the protagonist. having hailed from a relatively less patriarchal country, I could relate to some circumstances (not all). Interesting story, not so well read. What did you like best about Princess? What did you like least? 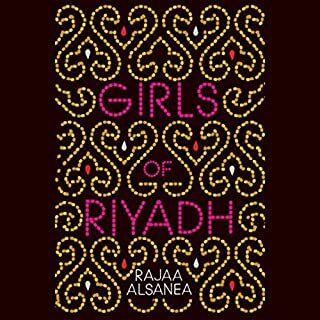 Interesting insight into Saudi royal life and gender issues. Narrator's American twang & unexpressive voice sounded like a reporter. Would have been more appropriate even with a Saudi accent and some feeling. the story is fascinating and well written however the narration is monotone and lacking emotion. Very interesting insight into the war against women in Saudi Arabia. The book illustrates a pervading culture of disrespect. An open disrespect of men for women, an undercurrent of disrespect of women for men, a universal disrespect for foreign workers and non-muslims. While the story was both fascinating and depressing, I had to overcome the irritation of the ‘twangy’ narration style. What a incredible story and what a strong and brave woman. Beautifully narrated, very engaging. I loved this book. I had no idea of the hardships Saudi women endure. Very sad. This is one of the most powerful, fascinating and beautifully written books I have ever read/listened to in my life. 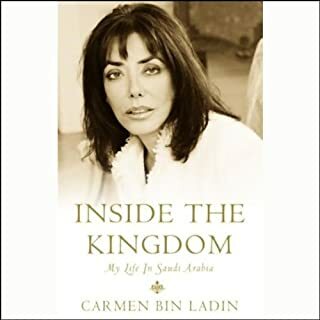 This book gives you a personal and in depth insight into the world of a Saudi Arabian princess, & also a look into a world that is completely dominated by men and religion. The story is touching and complex a very interesting read from start to finish. I read this book 10 years ago and it was such an eye opener to the ways of another country. 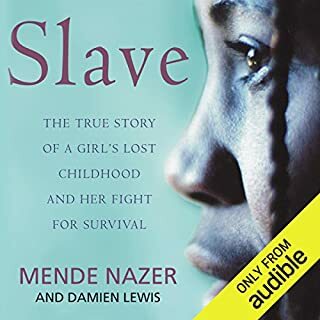 This book was so good I wanted to listen to it as well. 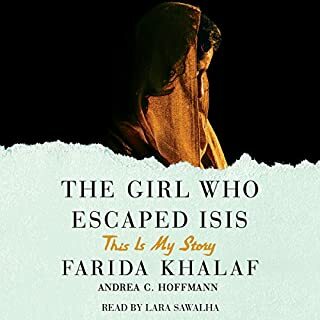 As an Australian this book and many others have opened my eyes to how females are treated in countries where Muslim is their dominate religion. It's a must read for everyone!